1. The lone guitar element in the song. There's only one guitar at any time during the song, mostly because the band was so used to playing it this way, as it was a staple of their shows before they received a record deal. 2. The guitar sound. It's a trademark of early Van Halen records where the rhythm guitar is panned on the left and a big delayed reverb to the right. 3. The guitar solo is dryer and panned to the right. The song begins at 30 seconds in. You should follow me on Twitter and Facebook for daily news and updates on production and the music business. The drum kit usually gets the most attention in most sessions because just about all modern music is rhythm oriented and highly dependent upon the drums for song’s pulse. In fact, in most rock, pop, r&b and country music, a wimpy sounding drum kit equates to a wimpy track, and that’s why we’re dedicating an entire chapter just to recording drums. 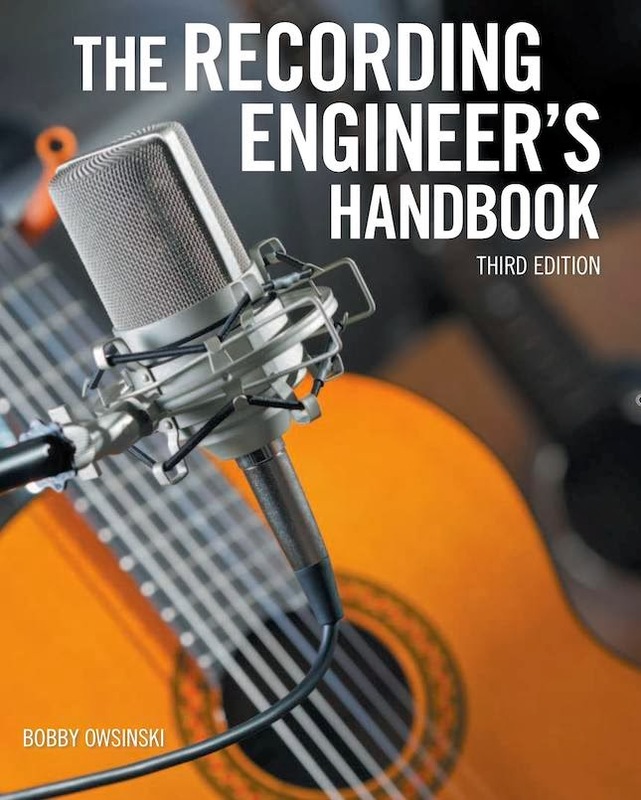 Here's an excerpt from the newly released 3rd edition of The Recording Engineer's Handbook that unveils how to obtain a reference point of how the drums sound in the room, along with some general drum miking considerations. 1. Go out into the room with the drums and have the drummer play the song that you’re about to record. Note the tone of the drums. 2. Place a single mic eight to ten feet in front of the kit at about the same height as drummer’s head. A large diaphragm condenser will work nicely for this. 3. Record the kit for a minute or two. 4. Listen to the playback. Is the set balanced or do one or two drums or cymbals stand out? This will give you an idea of what the drum kit sounds like and what the issues may be when you begin recording, which now allows you to compensate by drum tuning, mic selection, or placement. Here are number of things to consider that generally apply to just about any drum miking setup. Microphones aimed at the center of the drum will provide the most attack. For more body or ring, aim it more towards the rim. The best way to hear exactly what the drum sounds like when doing a mic check is to have the drummer hit the drum about once per second so there’s enough time between hits to hear how long the ring is. Try to keep any mics underneath the drums at a 90 degree angle to the mic on top to keep the acoustic phase shift to a minimum. Most mics placed underneath the drums will be out of phase with the tops mics. Switch the polarity on your preamp, console or DAW and choose the position that has the most bottom end. 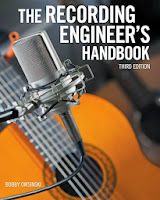 Try to keep all mics as parallel as possible to keep the acoustic phase shift to a minimum. The main thing about mic placement on the drums is to place the mics in such a way where the drummer never has to be concerned about hitting them. The ambient sound of the room is a big part of the drum sound. Don’t overlook using room mics where possible." 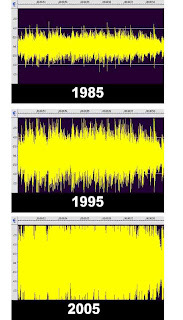 One of the cooler aspects of iTunes Radio is that it very well may be the beginning of the end to the loudness wars. 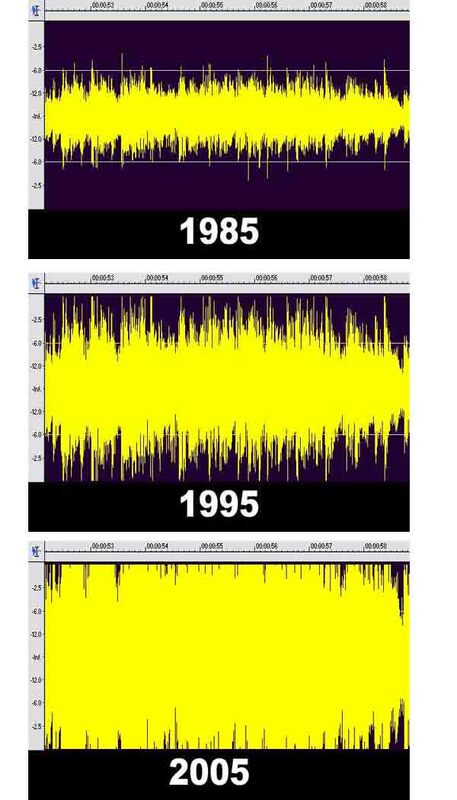 For those of you too young to remember, the loudness wars started back in the 60s when producers began to perceive that if a song played on a radio was louder than the one before or after it, it seemed to sound better and people responded more. As a result, they kept on asking the mastering engineer to make their records as loud as possible (check out this post on hypercompression). In the vinyl world, there was a physical limitation on how loud a record could be cut. Cut it too loud and the stylus would jump out of the record groove and the customer would return it. That all changed with music's entry into digital and the then-new look ahead digital limiters, which were capable of loudness levels that were unheard of just a few years before. Now we've gotten to the point were some clients don't even care if there are overloads and distortion on the mastered track, as long as it's as loud as possible. Mastering engineers and mix engineers hate this, of course, but producers and record labels demand it, so the search for more perceived level has continued unabated. Until now. iTunes Radio now includes a new Sound Check algorithm, which limits the volume level of all tracks. In other words, it lifts the level of the quiet tracks and lowers the level of louder ones so they're all the same. What makes this a threat to hypercompression is the fact that Sound Check can't be defeated by the listener, the mastering engineer, the producer or the record label. What's more, if a song is dynamically crushed, Sound Check might turn in down in a not exactly pleasing way, causing all parties involved to possibly rethink about going for so much level in the first place. That said, iTunes Radio hasn't taken over the streaming world yet, and there are dozens of other services that don't use a similar level regulating algorithm. 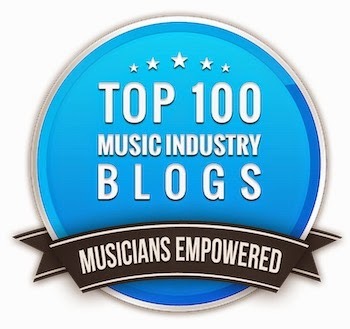 In many ways, it's still business as usual for mastering engineers everywhere, but at least we're seeing progress on this front for the first time. Here's to non-crushed, better sounding dynamic masters everywhere! My buddy Nick Batzdorf (a name that should ring a bell with those of you who read recording magazines) wrote a great piece about the new supercapacitors over at marketplace.org. The gist of the article is that the new devices are rapidly revolutionizing energy storage, replacing the traditional chemical battery, which will make a difference in many of the items in our everyday lives, from phones to electric cars. 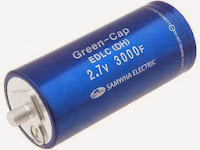 Supercapacitors beat batteries in every aspect in that they have a greater energy density than batteries or normal capacitors, never wear out, charge up hundreds of times faster than a battery, and are impervious to temperature. That's because they use thin sheets of 1 atom thick graphene to store static electricity instead of relying on the chemical reaction that is the basis of battery operation. So how could that be a boon to audio? Let me count the ways. How about high-wattage power amps class-A power amps that are smaller and better sounding because of the smaller and more efficient caps? How about wireless mics that don't need their batteries replaced after every show because they no longer use batteries and they remain charged for weeks? How about guitar pedals that don't need batteries anymore and only need to be recharged for a short time every few months or so? How about improved audio quality on boutique audio gear because of the more efficient caps used in the power supplies and the signal path? How about a new evolution of the condenser microphone that has a transient response that we can only dream about today? I'm sure you can think of tons of other applications, but suffice it to say that supercapacitors can truly mean a breakthrough in both how we power some of our devices as well as audio quality. Of course the big thing in the way at the moment is price (they're 20 to 40 times more expensive) and the fact that they only work at relatively low voltages, since it's such a relatively new technology. This means that most of the above won't be available tomorrow, but what's pricey today has a way of being inexpensive and improved tomorrow. Gear design is about to enter an exciting new era. There was a time when many of us learned all about electronics by building our own gear from a kit. Doing this helped you learn about electronic components, the art of soldering, signal flow and troubleshooting, all of which became invaluable later on when you hit the stage or studio. Unfortunately, the days of electronic gear kits is mostly over because of liability laws that have potential manufacturers shaking in their boots. But there is one new kit coming on the market that looks to be a very cool (and safe) learning tool - the littleBits analog synthesizer kit, a collaboration with Korg. This is a modular kit that contains 13 tiny analog modules based around the beloved Korg MS-20 consisting of a power module, 2 oscillators, a keyboard, a sequencer, an envelope, a filter, a delay, a mixer, a splitter and a randomizer. Everything you need to do multiple synth projects are in the box. You won't mistake it for a larger more powerful commercial synth, but it is surprisingly versatile. If you've been using synths for a while but really don't understand how they work, then this kit is for you, as you'll learn the basics in no time. Want a present for your musically inclined kid? This is it. The kit costs $159. There's also a deluxe kit available with more modules for $199.